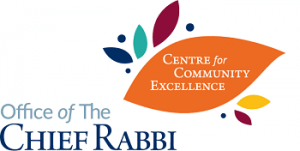 ShabbatUK helps small communities like Southport feel part of the bigger whole, whilst providing an impetus for them to develop a memorable programme for members. Their Friday Night service attracted over 30 (including some who were unaffiliated), compared to a usual attendance of 5, with the joyful singing and great atmosphere culminating in some spontaneous dancing. This sense of unity and pride in Jewish identity was strengthened further at the catered communal dinner laid out in the shul hall.